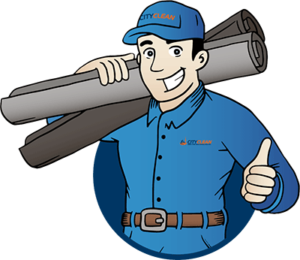 With more than 40 years of experience in the floor mat rentals business, City Clean can confidently guide companies into choosing the right kind of mats for their business. It may seem like choosing your commercial floor mats would be a straightforward decision, but many are surprised to learn that there are many different types of floor mats and each of them serves their own unique purpose. When sourcing commercial floor mats, be sure to work with an expert in the field so that you choose the right mats to get the results you need. 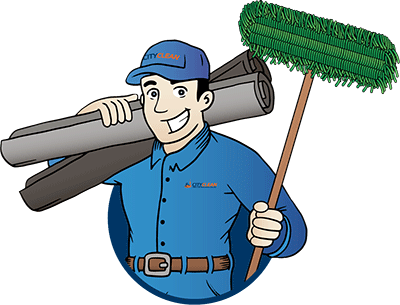 City Clean can provide many different types of mats and we’d be happy to discuss your matting needs with you. The most common categories of commercial floor mats are listed below. There are a few different Waterhog mat options, but each Waterhog mat has a unique swirl pattern which works its way into shoes to remove water and debris. A water dam rubber border keeps liquids in the trenches of this Waterhog mat and off the floor. Waterhog mats have an anti-static, polypropylene surface that quickly dries and doesn’t fade or rot. Nitrile rubber-reinforced surface, borders and backing give these Waterhog mats great flexibility, durability, and strength. Anti-fatigue mats help prevent tired feet and insulate against cold floors. Beveled edges allow for a smooth floor-to-mat transition which reduces slip-and-falls and allows carts to easily roll over the surface. There are several types of anti-fatigue mats including ones that are resistant to grease and oils and ones that have drainage holes so that liquid and debris don’t pool at the surface. 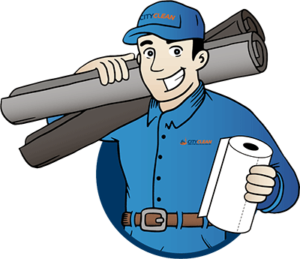 SuperScrape mats trap dirt and grime before it even gets in the door. The specialized molded rubber tread pattern is slip resistant and provides anti-fatigue properties. These mats are constructed of extra heavy rubber, making them extremely durable and allowing them to stay in place. The molded tread surface cleats scrape dirt and debris off of shoes, keeping it away from the surface. These mats have been certified as “high traction” mats by the National Floor Safety Institute. As an added bonus, you can also get SuperScrape Plus mats which include multi-directional tread patterns that scrape away tough dirt from all angles. They also include a drainable border to reduce standing water on the mat surface. And yes, they are still fully launderable! You can use mats to communicate messages and images to your clients and suppliers. These mats still collect dirt and moisture and protect your floors, but have the added benefit of contributing to your marketing efforts as well. Image mats offer some great options which include using SuperScrape technology as well as anti-static properties to reduce static electricity. You will get the benefit of safe and durable mats while increasing your brand awareness. Brush mats work by combining traditional solution dyed carpet yarns with very abrasive solution dyed yarns. The resulting mat is much more abrasive than traditional mats and therefore more effective in removing soil from the soles of your shoes. These mats are impervious to bleach, sunlight and repeated washing and have a 100% Nitrile rubber backing for increased slip and skid resistance. Working with a floor mat rental service will save you the stress and hassle of trying to manage what commercial floor mats would work best for your business. Get your matting needs right the first time by contacting a City Clean floor mat expert. We want to help your business succeed and can provide you with the right floor mats to do it!